I was lucky enough to be able to head up to Edinburgh recently to explore the city, go for some beautiful walks and to top it off I got to see my brother perform in the Fringe. Both Kyle and I had never visited the city before and in turn both instantly fell in love with the place. My favourite thing about Edinburgh is the proximity to the countryside and whilst most definitely being a big and bustling city, you can still see mountains and the sea which meant that I never once felt penned in or claustrophobic like I do in London. The architecture is so beautiful and I love the gothic charm. I could certainly see why such a place could inspire somewhere like Hogwarts! 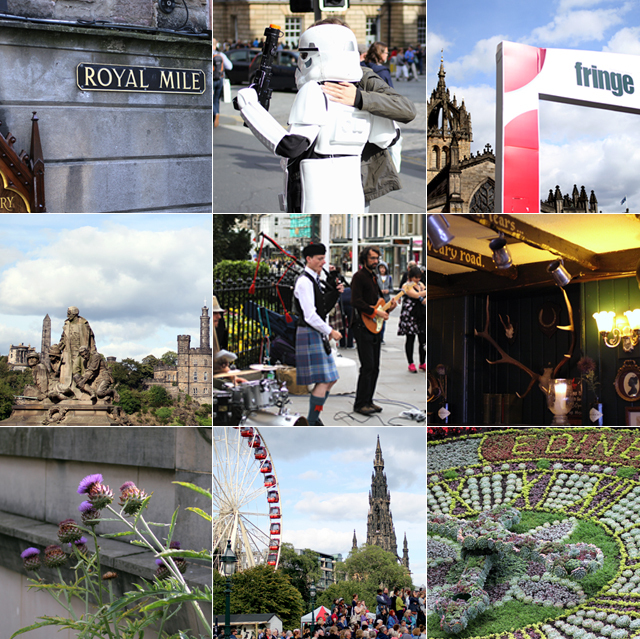 We walked miles all over the city, dodging in and out of the crowds for the Fringe. There were street performers, the 'world's tiniest kite', a stormtrooper, Predator and more. Smells of street food (including haggis pizza of which Kyle enjoyed very much) and sounds of music such as a band combining bagpipes and reggae and laughter spilling out of the pubs and comedy venues. We strolled along the Water of Leith Walkway which was such a beautiful and unexpected treat to be found in such a big city. A stunning riverside walk with plants in abundance and a perfect contrast to going to see my brother perform and then a night out. 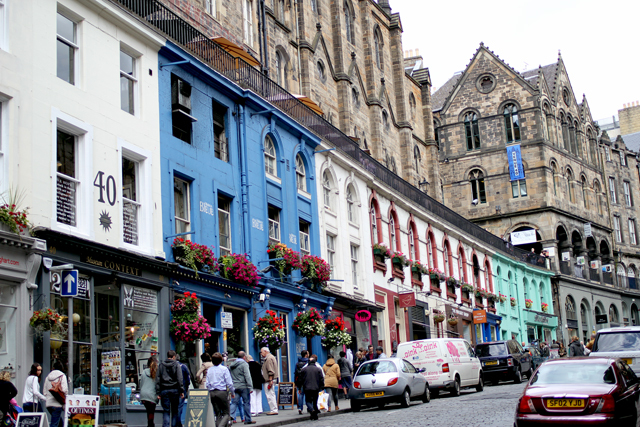 I loved the pubs and bars in Edinburgh because they came in all shapes and sizes which included interiors of traditional wooden beams and antlers mounted on the walls and also bohemian, extravagant cocktail bars with gilded walls and chandeliers. Unfortunately we didn't get to explore inside the castle itself, but thoroughly enjoyed all of the views of it from around the city. It is especially gorgeous at night when it is lit up, in fact all of the city is beautiful at night. We went for a walk in Holyrood Park which boasted some stunning views and to top it off it didn't rain until we got back to the car, a definite result in Scotland! 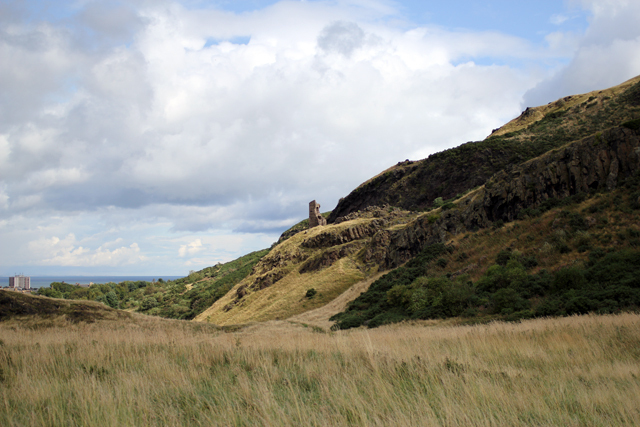 In the park is Arthur's Seat which is the highest point atop a dormant volcano. I would love to return and explore the park fully and make it up to the summit too. Another place for a pretty walk is along the waterfront by Cramond Island, which has a path where you can actually walk to the island at low tide. 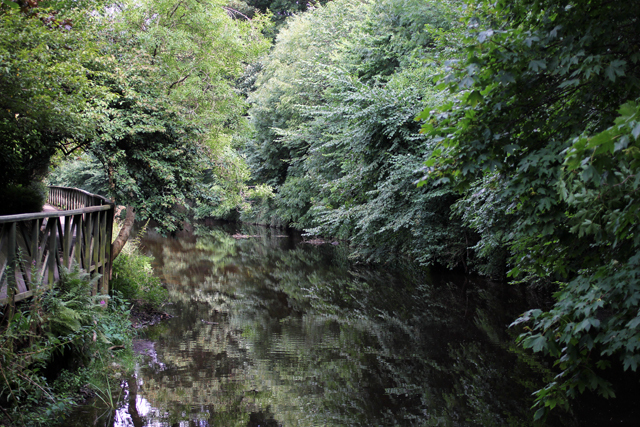 Nearby there is also another beautiful river walk along the River Almond. A great place to get some fresh air just out of the city. 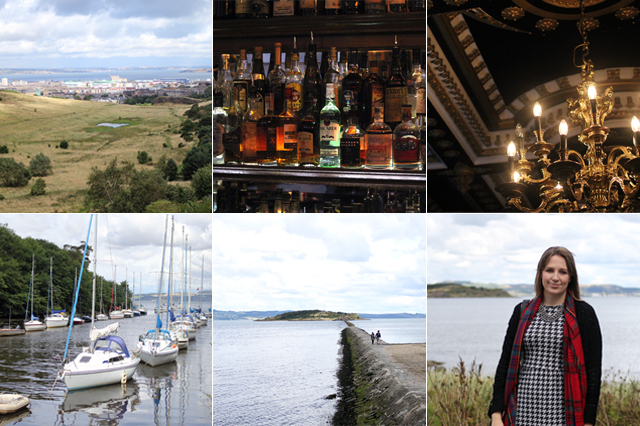 We will definitely be returning to Edinburgh in the very near future as we just completely fell for the place. I'm not a city person, that much is obvious, but there is just something special about Edinburgh that has left me wanting to explore it more. PS beautiful photos as usual! Oh, Edinburgh is so lovely! I was there just for the day a little over a week ago. Looks like you had a nice time! 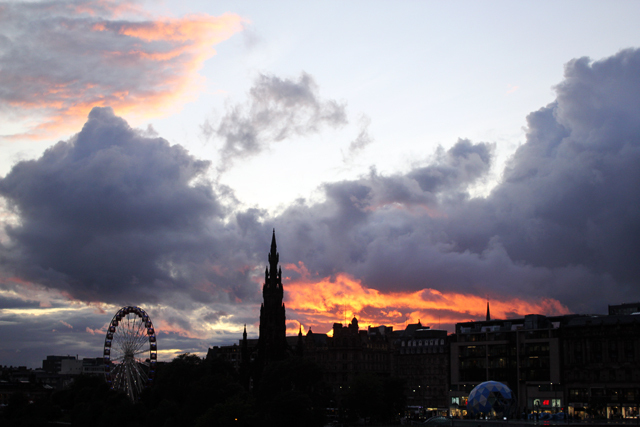 I LOVE Edinburgh, it's easily one of my favourite cities in the UK. I visited a few times when I lived in London although always had to fly cos it was such a treck by train but now I'm living in Newcastle I can get there in just over an hour which is fantastic. We went on a day trip earlier in the year and had such a great time, Im hoping we can go for a weekend next time! 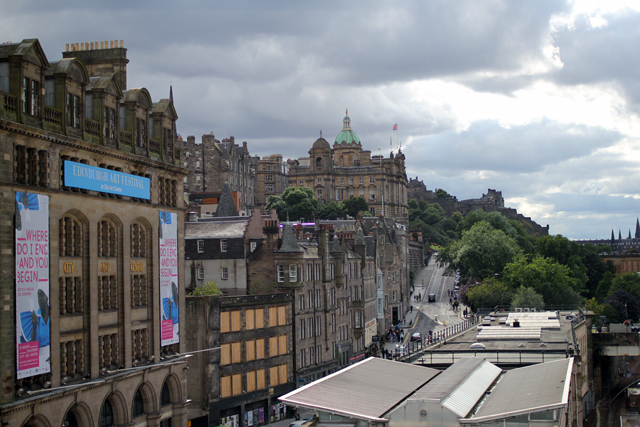 I've seen so many great posts about Edinburgh and I just want to go! 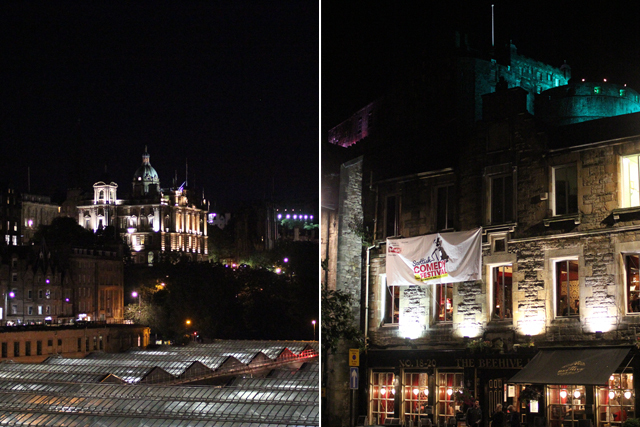 Great photos, the fringe festival always looks so good. I must go one day!! 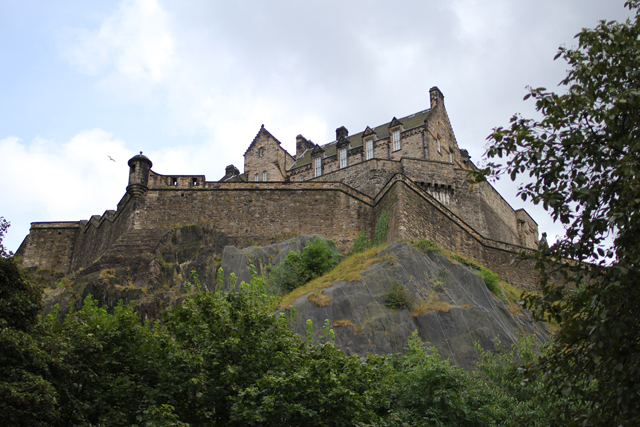 I'm Italian but one of my grand-aunts was Scottish, I would really like to visit Edinburgh, the city she told me when I was a little child. I hope in the future to have the possibility to visit it.